For the California wine region, see Monterey AVA. 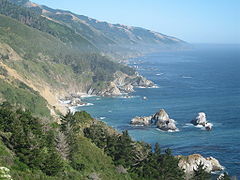 The coastline, including Big Sur, State Route 1, and the 17 Mile Drive on the Monterey Peninsula, has made the county world-famous. 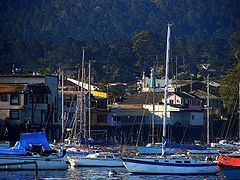 The city of Monterey was the capital of California under Spanish and Mexican rule. 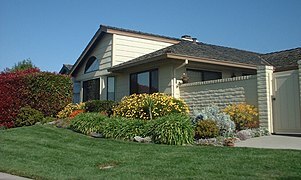 The economy is primarily based upon tourism in the coastal regions and agriculture in the Salinas River valley. 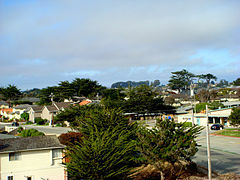 Most of the county's people live near the northern coast and Salinas Valley, while the southern coast and inland mountain regions are sparsely populated. 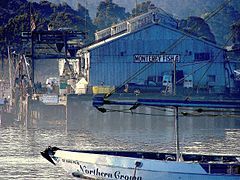 The county derives its name from Monterey Bay. The bay was named by Sebastián Vizcaíno in 1602 in honor of the Conde de Monterrey (or Count of Monterrey), then the Viceroy of New Spain. Monterrey is a variation of Monterrei, a municipality in the Galicia region of Spain where the Conde de Monterrey and his father (the Fourth Count of Monterrei) were from. According to the U.S. Census Bureau, the county has a total area of 3,771 square miles (9,770 km2), of which 3,281 square miles (8,500 km2) is land and 491 square miles (1,270 km2) (13%) is water. The county is roughly 1.5 times larger than the state of Delaware, and roughly similar in population and size to Santa Barbara County. Median Household Income across the populated northern half of Monterey County, as of 2014. Social deprivation (poverty and low levels of educational attainment) was concentrated in the central and eastern parts of Salinas, and central areas of Monterey, Seaside, Marina, Soledad and King City. In central and eastern Salinas up to 46% of individuals lived below the poverty line and those without a secondary educations formed a plurality or majority of residents. 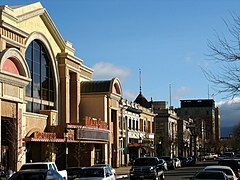 Overall, the Salinas metropolitan area, defined as coterminous with Monterey County, was among the least educated urban areas in the nation. * Asterisk denotes a hypothetical rank among Monterey County's 226 Census Block Groups (e.g. 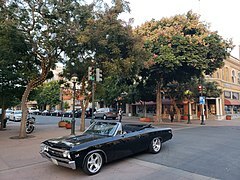 if the U.S. overall was a Census Block Group in Monterey County, it would be the 141st most affluent of 226). * Asterisk denotes a hypothetical rank among Monterey County's 226 Census Block Groups (e.g. if the U.S. overall was a Census Block Group in Monterey County, it would be the 86th poorest of 226). Thematic map showing percentage of households speaking only English at home. As of the census  of 2000, there were 401,762 people, 121,236 households, and 87,896 families residing in the county. The population density was 121 people per square mile (47/km2). There were 131,708 housing units at an average density of 40 per square mile (15/km2). The racial makeup of the county was 55.9% White, 3.8% Black or African American, 1.1% Native American, 6.0% Asian, 0.5% Pacific Islander, 27.8% from other races, and 5.0% from two or more races. 46.79% of the population were Hispanic or Latino of any race. 6.3% were of German and 5.4% English ancestry according to Census 2000. 52.9% spoke English, 39.6% Spanish and 1.6% Tagalog as their first language. There were 121,236 households out of which 39.1% had children under the age of 18 living with them, 56.0% were married couples living together, 11.6% had a female householder with no husband present, and 27.5% were non-families. 21.2% of all households were made up of individuals and 8.2% had someone living alone who was 65 years of age or older. The average household size was 3.14 and the average family size was 3.65. In the county, the population was spread out with 28.4% under the age of 18, 10.9% from 18 to 24, 31.4% from 25 to 44, 19.3% from 45 to 64, and 10.0% who were 65 years of age or older. The median age was 32 years. For every 100 female residents there were 107.3 male residents. For every 100 female residents age 18 and over, there were 107.7 male residents. The median income for a household in the county was $48,305, and the median income for a family was $51,169. Men had a median income of $38,444 versus $30,036 for women. The per capita income for the county was $20,165. About 9.7% of families and 13.5% of the population were below the poverty line, including 17.4% of those under age 18 and 6.8% of those age 65 or over. Luis Alejo represents the 1st District on the Board of Supervisors. His current term expires in January 2021. 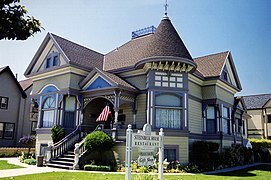 For most of the 20th century, Monterey County was a Republican stronghold in presidential elections. From 1900 until 1992, the only Democrats to carry the county were Woodrow Wilson, Franklin Roosevelt, and Lyndon Johnson. Since 1992, the county has become a Democratic stronghold in Presidential and congressional elections, with George H.W. Bush in 1988 being the last Republican to win Monterey County. 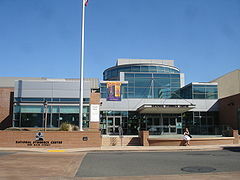 According to the California Secretary of State, as of April 2008, Monterey County has 147,066 registered voters. [ citation needed] Of those voters, 72,550 (49.3%) are registered Democratic, 42,744 (29.1%) are registered Republican, 5,488 (3.7%) are registered with other political parties, and 26,284 (17.9%) declined to state a political party. Except for Sand City, all of the other cities, towns, and the unincorporated area of Monterey County have more individuals registered with the Democratic Party than the Republican Party. In Sand City, the Republicans have the advantage by 1 voter. 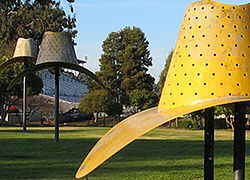 Television service for the community comes from the Monterey-Salinas-Santa Cruz designated market area (DMA). Radio stations Monterey-Salinas-Santa Cruz area of dominant influence (ADI) or continuous measurement market (CMM). Local newspapers include the Monterey County Herald, Monterey County Weekly, Salinas Californian and the Carmel Pine Cone. 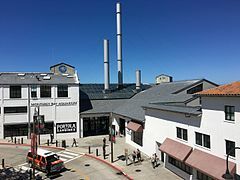 Monterey Regional Airport is located just east of the city of Monterey, California. Commercial flights are available. Marina Municipal Airport is located in the city of Marina, California. Salinas Municipal Airport is located in the city of Salinas, California. 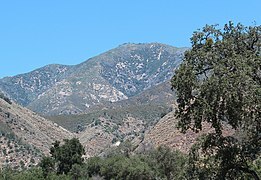 ^ "Junipero Serra Peak". Peakbagger.com. Retrieved March 16, 2015. ^ Gudde, Erwin G. (1949). 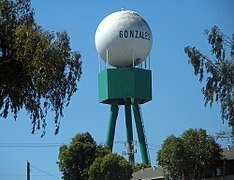 California Place Names. Berkeley, Calif.: University of California Press. p. 222. ASIN B000FMOPP4. ^ Bureau, U.S. Census. "American FactFinder - Results". factfinder.census.gov. Retrieved 2016-06-14. ^ a b c "MEDIAN HOUSEHOLD INCOME IN THE PAST 12 MONTHS (IN 2013 INFLATION-ADJUSTED DOLLARS)". American Fact Finder. U.S Census Bureau. Retrieved 27 December 2014. ^ a b c d e "MEDIAN HOUSEHOLD INCOME IN THE PAST 12 MONTHS (IN 2013 INFLATION-ADJUSTED DOLLARS)". American Fact Finder. U.S. Census Bureau. Retrieved 26 December 2014. ^ a b "EDUCATIONAL ATTAINMENT FOR THE POPULATION 25 YEARS AND OVER". American Fact Finder. U.S. Census Bureau. Retrieved 26 December 2014. ^ a b "POVERTY STATUS IN THE PAST 12 MONTHS BY HOUSEHOLD TYPE BY AGE OF HOUSEHOLDER". American Fact Finder. U.S. Census Bureau. Retrieved 26 December 2014. ^ a b "Map Index". American Fact Finder. U.S. Census Bureau. Retrieved 26 December 2014. ^ a b c d e f g h i j k "Monterey County Supervisors and Their Districts". Board of Supervisors, County of Monterey. Retrieved 26 December 2018. ^ "Attend a Board Meeting". Board of Supervisors, County of Monterey. Retrieved September 21, 2012. ^ "AMBAG Board of Directors". Association of Monterey Bay Area Governments. Retrieved September 20, 2012. ^ a b c "Districts and Redistricting, Monterey County Elections". Monterey County Elections Department. Retrieved September 21, 2012. ^ "Monterey County Supervisorial District 1 Map" (PDF). County of Monterey. Retrieved September 21, 2012. ^ "Monterey County 1st District Supervisor Luis Alejo". Board of Supervisors, County of Monterey. Retrieved 26 December 2018. 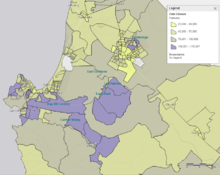 ^ "Monterey County Supervisorial District 2 Map" (PDF). County of Monterey. Retrieved September 21, 2012. ^ "Monterey County 2nd District Supervisor Louis Calcagno". Board of Supervisors, County of Monterey. Archived from the original on October 1, 2012. Retrieved September 21, 2012. ^ "Monterey County Supervisorial District 3 Map" (PDF). County of Monterey. Retrieved September 21, 2012. ^ "Monterey County 3rd District Supervisor Simon Salinas". Board of Supervisors, County of Monterey. Retrieved September 21, 2012. ^ "Monterey County Supervisorial District 4 Map" (PDF). 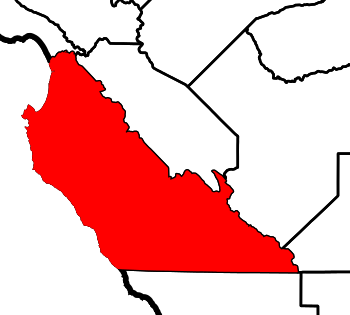 County of Monterey. Retrieved September 21, 2012. ^ "Jane Parker, Supervisor Fourth District". Board of Supervisors, County of Monterey. Retrieved September 21, 2012. ^ Rubin, Sara (June 7, 2012). "Vote for Oaks: Jane Parker sweeps District 4 re-election on the tide of Whispering Oaks reversal". Monterey County Weekly. Archived from the original on January 28, 2013. Retrieved October 12, 2012. ^ "Monterey County Supervisorial District 5 Map (South District 5)" (PDF). County of Monterey. Archived from the original (PDF) on July 1, 2012. Retrieved September 21, 2012. ^ Johnson, Jim (8 September 2018). "Monterey County gets first-ever flag as final design chosen". Monterey Herald. Retrieved 8 September 2018. ^ "Mish's Global Economic Trend Analysis: C.A.R. 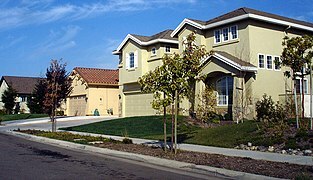 Median Home Prices Down 47% From Peak". globaleconomicanalysis.blogspot.com. ^ "This site has been redesigned and relocated. - U.S. Census Bureau". Census.gov. Retrieved August 12, 2018. 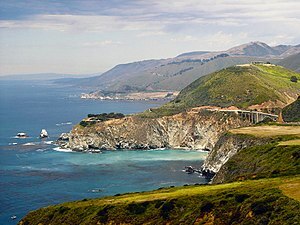 Wikimedia Commons has media related to Monterey County, California. 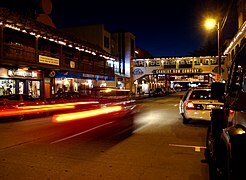 Wikivoyage has a travel guide for Monterey County.